The story toggles between the past, as Flynn Carsen tries to find Aladdin’s Lamp before an ancient criminal organization known as the Forty Seals gets hold of it, and the future, when Eve Baird and a new group of Librarians — protectors of ancient artifacts like King Arthur’s sword Excalibur — stumble on a mystery in Las Vegas that seems to relate to the Lamp and the powerful djinn it can summon. 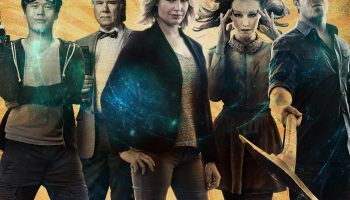 I’ve been a fan of The Librarians franchise ever since I first caught Quest For The Spear on tv almost 10 years ago now, so I was excited when the TV series came out. It’s always nice for an old series to be infused with some new blood. So I was even more excited when I saw this book was coming out. It had everything I loved about the movie and tv series plus more. The Librarians And The Lost Lamp by Greg Cox was a fun read full of action packed adventure and mystery that I was unable to put down once I had picked it up. 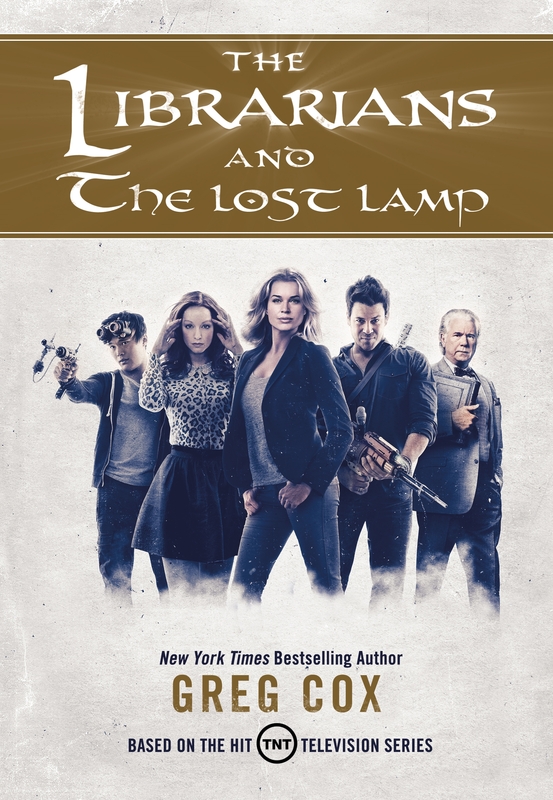 I was honestly a bit surprised with how much I enjoyed The Librarians And The Lost Lamp, it’s been my experience that when they novelize something it’s nowhere near as good as its source material. 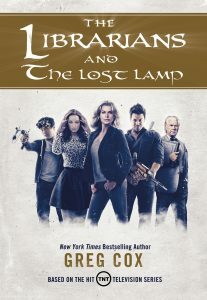 However, I think The Librarians And The Lost Lamp is as good as the movies and TV show, if not better in some aspects. You get a deeper look into the both the original Librarian Flynn and the new group of Librarians from the TV show. The story switches back and forth between 2006 when Flynn Carsen was first searching for the Lost Lamp and 2016 when the new group of Librarians finds themselves looking for it as well. The story was easy to follow despite how often it jumped between the different timelines and viewpoint characters. One of the most interesting parts of the story was seeing just how the two storylines slowly merged into one. It’s always fun to see Flynn interact with the new Librarians, whether it’s on TV or in a book. While I’ve never read anything by Greg Cox before, he seems like a great author who’s books I will have to look into and I think The Librarians And The Lost Lamp is a fantastic way to start a series. I already can’t wait for the next book to release, I’m really looking forward to seeing just what happens next for Flynn and the rest of the Librarians.